2017 is almost over, and it’s been a year most of us wouldn’t want to live through again. Animals and people were caught in a series of devastating natural disasters, stretching the animal welfare safety net to the limits of its capacity. And yet, somehow, we held. 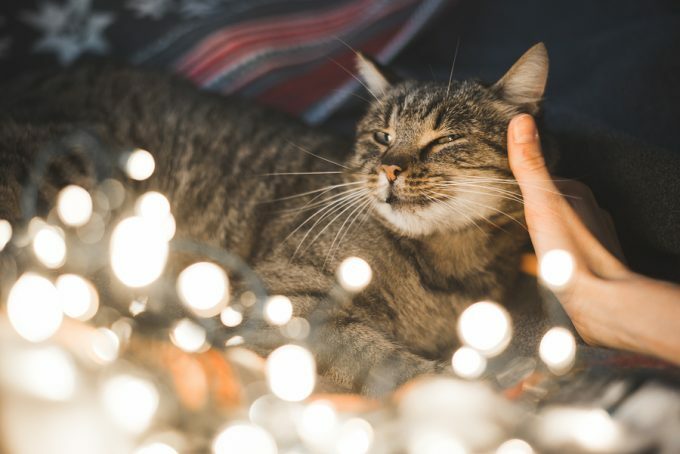 In fact, we at the Maddie’s Shelter Medicine Program at UF are awestruck at the way the animal welfare community showed up for pets and their people this year. We saw it in Hurricanes Harvey, Irma, and Maria; in the fires that ravaged the west for months; in mudslides, floods, and earthquakes in Mexico, Sierra Leone, Bangladesh, and more. Our Program was in the fortunate position of having resources we could share in support of our colleagues as they fought for the animals in these difficult situations. Our staff and students worked through challenging conditions to bring vital supplies to shelters in the path of the hurricane and developed emergency medical protocols for animals transported out of hurricane-impacted areas in Houston, Florida, and the Caribbean. Major disease outbreaks threatened shelter animals throughout the country, from familiar foes such as distemper, and some novel threats such as pneumovirus and a new strain of canine influenza. Dr. Crawford assisted numerous shelters, including some temporary shelters set up in the aftermath of disasters, in saving animals’ lives through comprehensive outbreak response. One other experience of the past year stands out is the pride we feel in our amazing alumni, who have gone into shelters and communities across the country and around the globe, bringing shelter medicine and progressive animal sheltering everywhere they traveled. They’ve been involved in running animal organizations, keeping sheltered pets healthy and happy, and working to end the cruel dog and cat meat trade in Asia. And just to put a final positive spin on the year that’s coming to an end: 2017 is the year the animal shelters of the Million Cat Challenge, which we co-founded with the UC Davis Koret Shelter Medicine Program, passed the 1 million cats saved mark. The Challenge’s motto is “Every Cat Counts,” and every Challenger proved it this year! The animal welfare community can be proud of how we faced challenge this year. It’s been our honor to share this work with you, and we can’t wait to see what all of us working togther will be able to do for the animals in 2018!